TC 21 /100 Grey Lady Saloon is a new model based on the standard Three Litre TC 21. Differences include an increase in engine compression ratio (8.0:1 v. 7.0:1) and max. bhp (100 v. 93), higher rear axle ratio, bonnet-top scoops, bonnet-side louvres and wire wheels with knock-off hubs to give extra cooling for the brake drums. 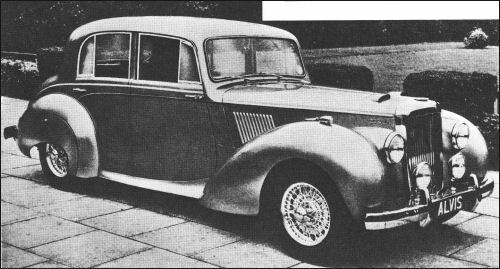 A Tickford-bodied Drophead Coupé is also available. 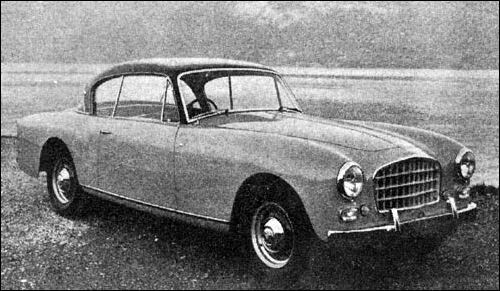 The TC 21 was continued with restyled body features which it shared with the Grey Lady until October 1954, when it was end of prod.. 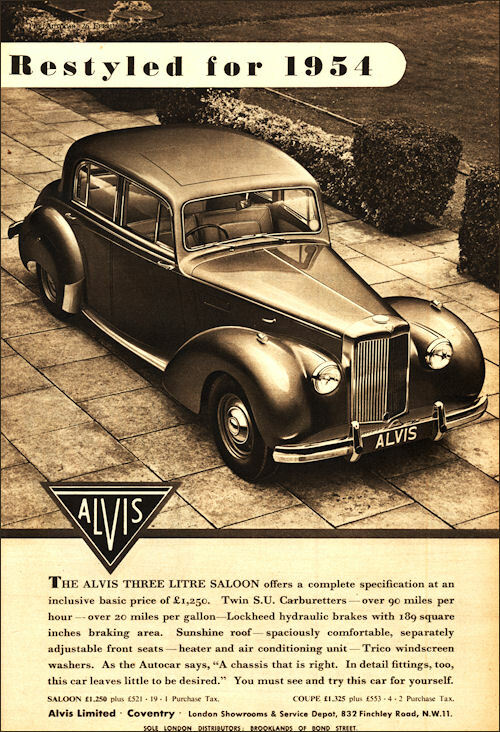 The latest body style that is available on the Alvis TC21-100 chassis is the Tickford drop-head Coupé. This model is at present available for export only and was exhibited for the first time at the New York Show. The model should be available for the home market soon. 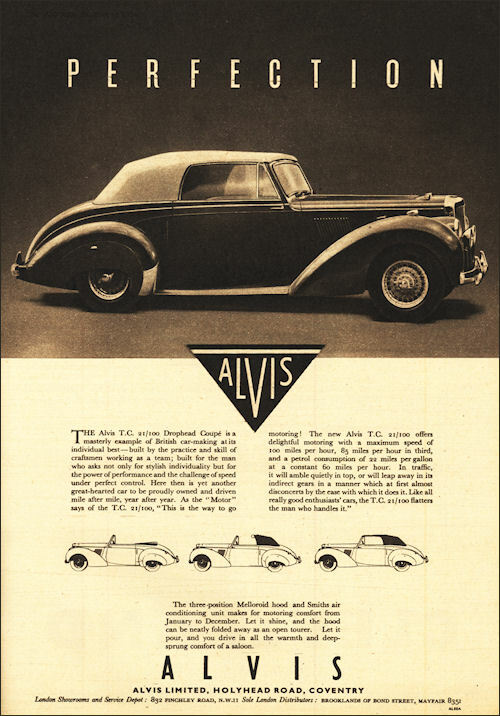 Mechanically the car is identical with the TC21-100 saloon, previously described in The Autocar. It has a two-door body, a folding three-position hood and full leather trim, with the accent in interior refinement. It is available in a variety of two-tone colour schemes. The basic price, when it is obtainable in Great Britain, will be £1,360, making a total with purchase tax of £1,927 15s 10d. 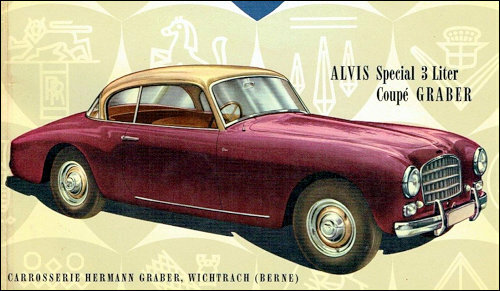 A saloon version of the Grey Lady tested by The Motor magazine in 1954 had a top speed of 100.1 mph and could accelerate from 0-60 mph in 15.4 seconds. A fuel consumption of 20.6 miles per imperial gallon was reCorded. The test car cost £1,821 including taxes. Grey Lady Drophead Coupé by Tickford.